Harvesting sugar cane in Barbados. High stocks and weak demand continue to dominate the global sugar markets. In May traded prices in both London and New York reached 6 year lows, partly as a result of Thailand’s large surplus of raw sugar, although the general consensus is that the market price from June onwards will slowly start to increase. The Brazilian stocks which are at a 3 year low has started to ease slightly with the onset of drier weather in June, improving harvesting and sugar production. With the northern hemisphere cane harvests now complete, attention now turns to the Brazilian harvest over the next three and a half months. In the EU, beet planted area is down on average 13%, as a result of the high surplus sugar stock, from 2014/15 record crop. Following the record 2014/15 beet crop of 19 million tonnes, the 2015/16 planted area is down on average 13%. In France the planted area is down 5.5%, Germany is down 15%, Netherlands down 20%, UK down 20%, Sweden down 40% and Italy down 15.3%. The weather until the end of August will ultimately determine the sugar yields, the forecast total for the 2015/16 EU production is 16.5 mln tonnes. Furthermore, 2014/15 EU sugar imports declined for the first time since 2006 to 2.6 mln tonnes, which resulted in high sales of quota white sugar, leading to a substantial fall in quota stock levels. As a result EU prices will slightly increase in line with CXL imported sugar. EU producers are experiencing lower profits, with some of their refineries now starting to close and the start of a contraction in the number of sugar companies in the EU, as the European sugar industry prepares itself for 2017, when sugar production quotas will end after almost five decades, resulting in unlimited beet production, increased competition across the EU, and the EU’s return as a dominant sugar producer on the world market. In Russia 80,000 hectares of sugar beets were damaged due to severe winds, leading to half the damaged area having to be resown, which is expected to limit yields for the 2015/16 crop, due to be harvested in August. Early estimates are for 4.5 million tonnes of sugar to be produced, as a result of increased planted area, up by 9% on 2014/15. The harvest in Brazil which began in April has been impacted due to heavy rainfall in May which has reduced the amount of cane that could be harvested, and reduced sugar yields from the crushed cane. The impact has seen sugar production down 17% compared to last year’s output. However the wet weather will boost cane yields later in the year, and produce a strong tail end to the crushing season. Improved weather during the month of June should result in production catching up on last season, so for the 2015/16 season, estimates remain at 588 mln tonnes of cane, producing 33 mln tonnes of sugar, 1 million tonnes more than last year. The demand for ethanol has been higher this year due to gasoline prices increasing, however sugar export prices remain competitive when compared to biofuel sales, but the availability of sugar remains relatively limited. The 2014/15 harvest has ended with a higher cane crushed than expected, but the sugar produced is down by 1% at 11.1 million tonnes, compared to last season, the result of lower sucrose yields, due to drier than average weather. These drier conditions have continued through 2015 which is a significant risk to the 2015/16 crop. Raw sugar exports have been slow in 2015, despite a huge amount of stocks held, and this is starting to affect the world market price. The cane harvest has nearly finished across the major growing states, with sugar production estimated to reach 28 million tonnes, with a possible further 2-300,000 tonnes to the end of September. This is the highest production rate since the 2006/07 season, which will further aggravated an already over-supply in the market, putting pressure on internal Indian sugar prices which have fallen by 20% since the start of the 2014/15 season. It is unlikely that the government will purchase sugar for domestic buffer stocks, putting further pressure on the world market. Despite the high stock levels, there has been no reduced planted cane acreage for 2015/16 season, potentially leading to another year of surplus production. The monsoon rains over the next three months will determine the yields and size of India’s 2015/16 surplus stocks. Lower rainfall in Queensland could affect the 2015/16 crop, with less than half the average rain falling. Early estimates are for 4.68 million tonnes of sugar to be produced, up on the 4.4 mln tonnes produced in 2014/15 season. Sugar beet planting in May was ahead of normal and planted area was also up 2% on last season, which raises hopes for improved yields this year. The decision of the anti-dumping investigation between the US and Mexico is expected early in September. The 2014/15 Mexican harvest will end earlier than last season, with sugar production estimated at 5.75 million tonnes, compared to 6.0 mln tonnes in 2013/14. Prolonged dry weather through June could see sugar production reach last season’s figure, allowing Mexico to fulfil its US supply quota before September. 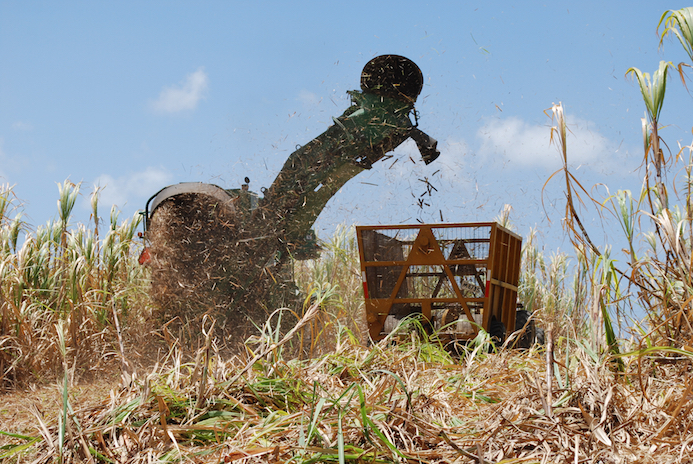 Dry weather enabled good cane crushing in May during the final weeks of the 2014/15 crop. Cane sugar production is estimated to be 6.3 million tonnes, down 26% as a result of reduced planted acreage and lack of rains, which could also affect the 2015/16 crop.